Here it is folks! Peeta Mallark's famous cheesey buns! Suzanne Collin's young adult trilogy has gained a lot of popularity lately after the release of the film version. It has been praised for its emotionally compelling storyline, character development and strong female protagonist. 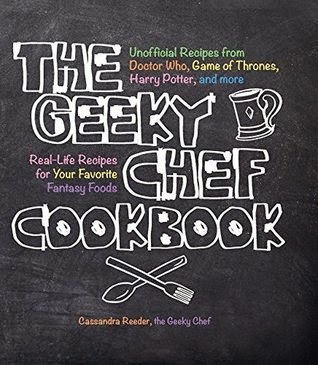 Due to it's themes of starvation and deprivation, Hunger Games often has extremely detailed and loving descriptions of food, making it one of Geeky Chef's favorite YA novels. 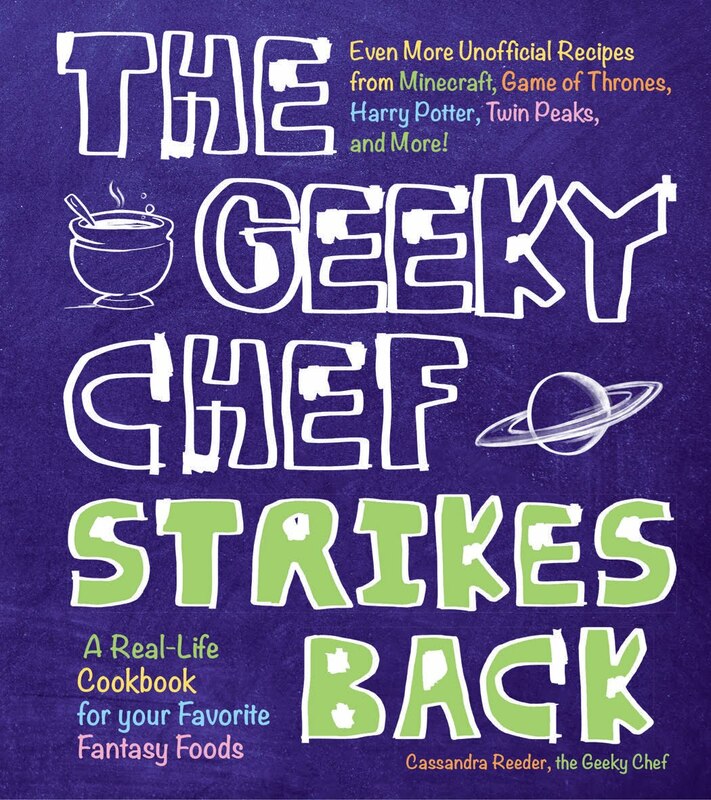 There are so many dishes in Hunger Games that make your mouth water just reading about them that I wasn't sure where to start, so I called a vote. I was not surprised that Cheesey Buns won out. Not only are they delicious cheesey carbs (which, let's face it, everyone loves) they are also a favorite of Katniss and are baked for her by her love interest, Peeta. In comparison with the quality of food most people in District 12 are used to, these buns are certainly decadent and rich. 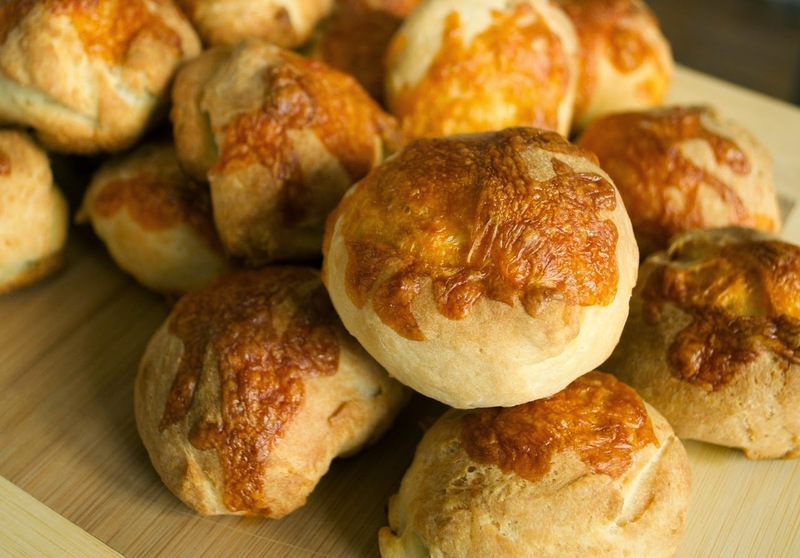 In the book Catching Fire, Katniss describes these buns as soft bread with cheese baked on top, a bit greasy and messy to eat. I made a fluffy pull-apart bun, with a mixture of sharp cheddar and gruyere both inside the bun and on top as described in the book. Working with dough and is not an easy thing to do, so be careful to make sure your dough is a good consistency... And may the odds be ever in your favor! Preheat your oven to 375º Fahrenheit. Grease a small pan. Combine 1 1/2 cups flour, sugar, salt and the yeast in a large mixing bowl, thoroughly mix. Toss in 1/2 cup of each cheese. Add the warm milk, warm water and the oil. Beat for about 5 minutes. Gradually stir in the rest of the flour until you have a soft dough. Put dough on a floured board. Knead the dough until it is elastic and not sticky, adding more flour if necessary. Place in a greased bowl and then flip the dough over to grease the other side. Cover the dough with plastic wrap. Let the dough rise in a warm environment for approximately one half hour. Punch the dough down, cover again and let rest for 10 more minutes. Cut dough into 20 separate pieces. Shape each into a sphere. Dip each ball in melted butter. Arrange balls in two layers in the small well greased pan. Cover with a paper towel. Let rise in warm place until balls are almost to top of pan, about one hour. Sprinkle the remaining cheeses over the rolls. Bake on the lower rack of a preheated 375°F oven for about 35 minutes or until rolls are firm and golden. Let cool for 5 minutes and enjoy!! This is so great!!! I am going to make these when I see the next movie!!!!! These sound delicious... like they would go perfect with the LoZ steak you mentioned a while back. Will you ever make that one? Thanks! Do you mean Rock Sirloin? I do plan on coming up with something for that, eventually! Arranging in the pan; are you saying that two balls are placed on top of each other? So the recipe makes a total of 10? What size pan do I need for this? A regular bread loaf pan or something special? I think I love you now!! After you make the dough can you put it in fridge to bake for later? I have made these several times changing the cheeses and they are always fantastic. I even changed half the cheese for a jar of pesto sauce (with grated parmesan baked on top) and they came out perfect. All you have to do is check if you need a bit of extra flour. isn't katniss a type of edible plant?